Whether you decide to keep your account open or not, we at DIGISTOR thought we’d let you know there is a way to download all your Instagram files to your PC or Mac, then archive them to Blu-ray disc for safe keeping. Using instaport.me you can download all your Instagram photos to your computer in a single .zip file. You can unzip this file in your photos folder so you can easily view them. Also using REWIND you are now able to select the photos you’d like archived to Blu-ray disc. It’s simple and secure! Side note: instaport.me is being hammered right now, and may be very slow at responding. Give it some time to settle, and then export and archive away! instaport.me has opened up secondary servers for overflow and is able to give you your Instagram photos within a few minutes of request! Adding files to your archived Blu-ray discs is as easy as starting the archive to begin with. Using REWIND to store your files to Blu-ray means you can continue your archive, even if you started your archive on a write once BD-R disc! Yes, you can continue burning to this same disc until it’s full, then REWIND will span multiple discs to keep your files safe no matter how many GB’s you have! We put together a little video showing how to update and continue an archive you started using REWIND. As your iTunes collection grows, you may want to keep a permanent local copy of all your created playlists, XML files, library files and apps! Let’s face it, if you lost your iTunes collection, and had to redownload all your GB of apps, plus reorganize your music into the playlists you want, you’d be at it for days. When speaking with friends and business acquaintances about our new software release (REWIND Archiving Software) the initial response is usually something like “um, sounds interesting but aren’t there already dozens of backup programs that do the same thing?” It takes a quick explanation about the differences between backing up and archiving and then comes that Aha! moment. Even if you regularly back up, the typical hard drive will fail in 3-5 years. Unless you maintain a regimented personal backup policy including multiple copies in multiple locations (which most people don’t) or are technically gifted enough to setup and maintain a comparatively expensive RAID system, your data and files are at risk art panels for inflatables. Of course a cloud backup solution will solve some of these problems by offering redundant, offsite storage. However, most people fail to consider several important factors before moving to the cloud. For instance, how long would it really take to restore your all your files from the cloud? If you have a significant amount of data it could take weeks or even months to restore. The annual costs is also something that can quickly add up if you have large files such as photos, music or video and what happens if you have a financial setback and can’t pay for a year or so – what happens to your data? So why is archiving with REWIND different? Well, unlike a backup, an archive is a permanent copy of your digital data such as photos, music, videos and files that you want to keep forever. Rewind allows you to easily archive all of your digital assets to a recordable Blu-ray disc which when properly used and stored have lifespan of up to 50 years or longer. If you need to restore your data, it’s as simple as inserting a disc and selecting the files you need. 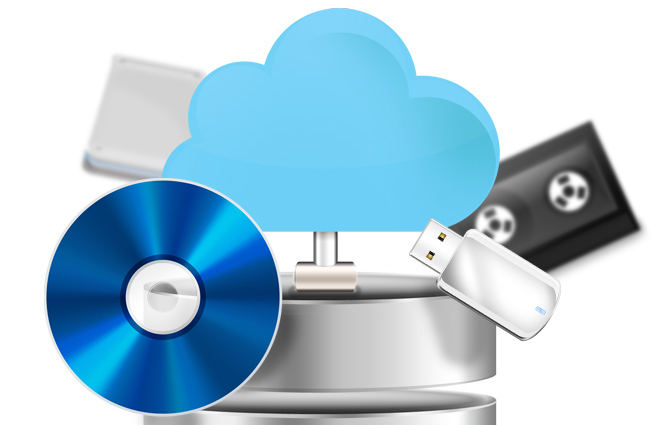 Archiving to Blu-ray is not a new concept and there are several established providers of enterprise level archiving systems that utilize Blu-ray technology. But until now the options for personal archiving have pretty much been limited to off the shelf data burning software that were not designed for ease of use for archiving or restoring. If you want to protect a lifetime of digital photos, music, video and other precious data we encourage you to give archiving with REWIND a try. DIGISTOR Ships First-of-Kind Archiving Software for the PC and MAC. REWIND offers unparalleled ease-of-use for permanently archiving and restoring of digital files. CAMPBELL, CA — July 26, 2012 — DIGISTOR announced today that REWIND™, its novel archive and restore application for the PC and MAC, is now available for retail purchase and is shipping with select hardware bundles. REWIND software allows users to easily and securely archive all of their digital assets such as photos, movies, music and documents on scratch resistant 25GB, 50GB or 100GB Blu-ray recordable discs for permanent storage. With an embedded restore application, REWIND offers the ability via a simple 3 click process to restore files directly from the archived disc(s) to any computer without software installation required. With REWIND it’s easy to update an archive as digital assets grow and can keep an archive going forever. REWIND will continue to burn to the Blu-ray disc until it’s full, then it will span to multiple discs allowing users to continuously grow an archive. REWIND features a unique Finish Later feature, allowing users to pause an archive mid-burn and finish it later picking up right where they left off. Easily restore to any computer by simply inserting an archive disc and running the Restore app from the disc, no software installation required! Have a large archive that spans multiple discs? No problem! Simply insert the last disc in the archive and the restore application shows files across all discs and will request the discs needed for restore. REWIND is available online at www.amazon.com and www.digistor.com with a suggested retail price of $39.99. REWIND will also be bundled with all DIGISTOR Blu-ray drives beginning July 26, 2012. For more information on REWIND or other data storage or multimedia products offered by DIGISTOR, please visit www.digistor.com. DIGISTOR, a division of Sunland International, LLC, is a leading innovator, manufacturer and distributor of digital archiving products and secure storage solutions. Serving the industrial and global OEM market since 2001, DIGISTOR provides industrial-grade archiving and digital-video storage solutions to consumers, professional users, SMB’s and specialized industries such as photography, broadcast, videography, medical imaging and security/surveillance. DIGISTOR™ and Rewind™ are trademarks of Sunland International, LLC. Is the Hard Drive Really Dead?